The Thoroughbred Adoption Network’s Diana Pikulski had the great pleasure of speaking with Sarah Coleman, Director of Public and Community Relations for New Vocations Racehorse Adoption Program about their upcoming All Thoroughbred Horse Show and TIP Championships at the Kentucky Horse Park on September 7-9. The Thoroughbred Incentive Program (TIP) was created by The Jockey Club to encourage the retraining of Thoroughbreds into other disciplines upon completion of their racing careers. TIP sponsors the New Vocations All Thoroughbred Show and will hold its championship season finale on September 9 at the show. 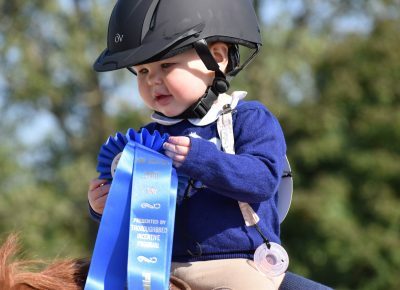 The three day show sounds like an OTTB lover’s paradise with every aspect of our favorite breed being recognized in a celebratory atmosphere including special touches that show the organizers’ dedication to the spirit of the event. We at the Thoroughbred Adoption Network will be definitely be there. TAN: Can you describe the mission of New Vocations? Has it changed or evolved over the last 5 years? New Vocations Racehorse Adoption Program is the nation’s oldest and largest racehorse adoption agency. We were founded in 1992 and have helped over 6,500 horses since our inception. Our mission is to rehab, retrain and re-home retiring Thoroughbred and Standardbred athletes. We have not changed our mission since our inception, but have expanded our efforts to other states besides Ohio, where we were founded. TAN: How big is New Vocations now and where are you operations? We now have locations in Ohio, Kentucky, Pennsylvania and New York. We have about 140 horses in our care at any given time between all of our facilities. In 2017 we helped 523 horses, rehabbed 220 horses, placed 398 horses, and received 976 applications for adoption. TAN: For how many years have you held the Thoroughbred show at the Kentucky Horse Park? We began hosting the horse show at the Kentucky Horse Park in 2015 as a one-day event. TAN: What has been the trajectory in terms of entries, classes, sponsors? We went from a one-day show to two days and now three days with the inclusion of the Thoroughbred Incentive Program Championships. The New Vocations portion of the show is Friday and Saturday. We have grown from two rings in 2015 to seven in 2018. We have added dressage and western dressage; split our jumper stakes into high and low; added hunter hacks; more pleasure divisions and some additional equitation offerings. We have also split our Junior/Amateur and Open divisions as they were massive last year and we don’t want our competitors to feel that they don’t have a chance to pin. We include in-hand, pleasure, equitation, hunter derbies, jumper stakes, adopted-horse classes and more. The entries have also increased. We hosted over 250 horses last year from 22 states. TAN: Have you seen changes in the off-track thoroughbreds entered? Yes, mainly in the number of entries. We keep the entry fees very affordable to encourage as many people as possible to come and show the world what Thoroughbreds can accomplish once their racing days have concluded. The quality of horses competing has increased each year and competition has gotten much deeper. TAN: Is this the first year that the show is name sponsored by TIP? No, the Thoroughbred Incentive Program (TIP) has been a part of the show since its inception in 2015. TAN: In your experience, how has TIP changed the showing landscape for Thoroughbreds? TIP has been a game changer for Thoroughbreds in the show ring. By joining forces with horse shows, events, paces etc. that are already in place, they made a huge impact, very rapidly. 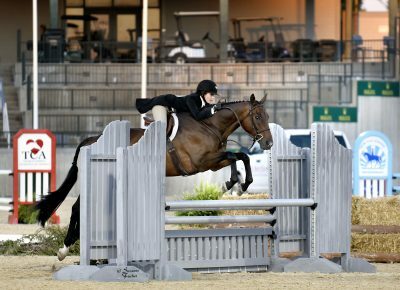 Offering high point awards, classes, and divisions has allowed horse shows to very specifically cater to their thoroughbred competitors. All competing Thoroughbreds whether hunters, jumpers, dressage, pleasure horses, eventers, hunt horses, etc., are celebrated and recognized. They do also have a great recreational riding program. I also feel very strongly that TIP and it’s Championships have made people specifically seek out thoroughbreds for their next show mounts. I often speak with people who are looking for a thoroughbred so they can compete at the Kentucky Horse Park ‘because it looks like their friends are having so much fun’. TAN: Tell me more about the fun factor and how perceive it. The “fun factor” has been an important goal for me personally, as a horse show manager. It has helped to draw over 250 horses to the Park for an ‘unrecognized’ show that garners no year-end points – which is huge. If that alone doesn’t say that Thoroughbreds are back in a very big way, I don’t know what does. It may not be Tryon or WEG, but to these people who comeand show with us, it’s a very big deal. TAN: In what other ways does the NV show and TIP enhance the experience for entrants and their mounts? I grew up on Thoroughbreds and still show on my sweet red OTTB. 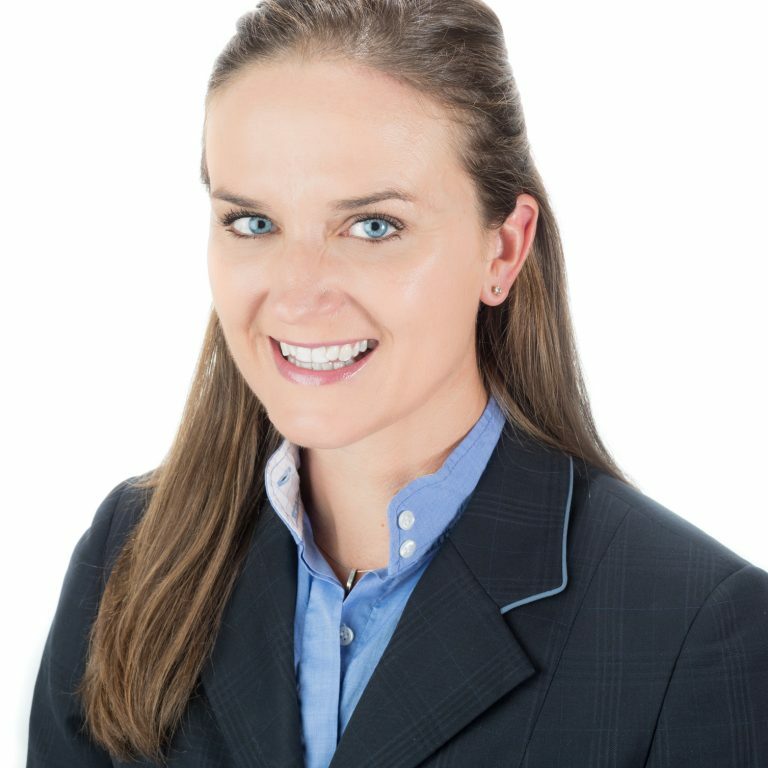 I know what I appreciate as a competitor and Kristin Leshney of The Jockey Club and I work very hard to celebrate every horse that sets foot on this Park. We welcome them on their stalls with mints and “welcome!” ribbons; we offer a “cheat sheet to the Bluegrass” that includes everything from where to eat to what distilleries to tour to where to get souvenirs from their trip. This year we will have a stall-decorating contest as well to up the fun factor! TAN: So, there is a big emphasis on education and celebration of Thoroughbreds? One of my favorite parts of the show is encouraging people to learn more about their horses. They are often shocked to learn what they did/sold for/how many starts they have had etc. We ask every competitor to fill out a “Thoroughbred info” sheet. This has to be some of my favorite things to read. Some of the people who show here have never looked up their horse’s pedigree or race record or auction history. It’s eye-opening for them to see what their horse did before they owned and loved him or her. These are all factors we include when we give out awards during our Thoroughbred Recognition Ceremony under the lights in the Rolex Arena. Another favorite thing is to see the looks on the rider’s faces as they walk down the ramp into THE ROLEX for the first time – it literally makes me cry every year. People are just so happy and thankful to be here in the Kentucky, at the Park, in the Rolex. Most riders can only dream of being here to compete here. Owning a thoroughbred enables them to do that. TAN: How can new sponsors help the show? Sponsorship is what allows us to host this show at this world-class venue and to make it affordable for competitors. Nearly $75,000 was raised to support racehorse aftercare from the KY show alone. TAN: What do you offer sponsors? The easiest way to see what all sponsors receive is to look at our sponsorship packet. We welcome sponsors to come and watch the show and hand out ribbons if they sponsor a specific class. TAN: How has the show and its success helped New Vocations? We are looking forward to 2018 being even bigger and better! TAN: How does TAA participate in the show? TAA sponsored Adopted Horse sashes last year for horses that were adopted from TAA-accredited organizations. They also sponsored an Adopted Horse Pleasure class and have provided volunteers to help before and during the show. That exposure has been good for helping bring attention to the many good adoption agencies in the country and the TAA accreditation process. TAN: Do you still host the show that started out years ago at Turfway Park? Yes, we do also host an open charity horse show in Delaware that also has Thoroughbred and Standardbred specific classes. If anyone would like information about that show, contact Clare Barlow at updates@horseadoption.com. That event has been going on for 15 years. It was held at Turfway Park in the very beginning. Below are links to the prize list and other information about the New Vocations All Thoroughbred Show and TIP Championships at the Kentucky Horse Park.